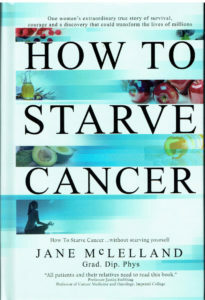 Having just completed our revue of this monumental new book, we were delighted to receive this note from Jane with a great result for one of her readers in beating cancer. This just posted by a lady in America on FB (Cheryse Skiles) with a completely different cancer to mine (breast). She has used my book to guide her with determining her metabolic phenotype. ‘I am still in shock…my oncologist confirmed that my PET/CT showed there is no evidence for any cancer in my chest OR the liver!!! ??? My oncologist came in the room with THE BIGGEST grin on her face and just said, “this is amazing….AMAZING! Ive never seen anything like this [in a stage IV patient]! “ Of course, she didn’t give any credit to my repurposed meds or metabolic protocol and truthfully I’m sure she’s just waiting for the ball to drop, for the cancer to stop responding to the treatment and grow. What else is she supposed to expect? There are no cures with standard of care in stage IV Patients…. ever. Patients with metastatic disease are literally dying for a cure while traditional Oncology is verrry slowly coming around to the metabolic theory. They play whack-a-mole and try drug after drug until the cancer stops responding completely. They NEVER get the upper hand. Here’s the thing, I know my cancer’s genetics and overexpressions due to my blood biopsy and was able to figure out its “metabolic Phenotype” based on the metabolic research that is already available on the Internet. I discovered my cancer uses not only glucose but also relies heavily on glutamine, and faty acid pathways as well as probably up-regulating oxidative Phosphorylation. So, I am taking a host of supplements and repurposed medicines to block those pathways and down-regulate OXPHOS. 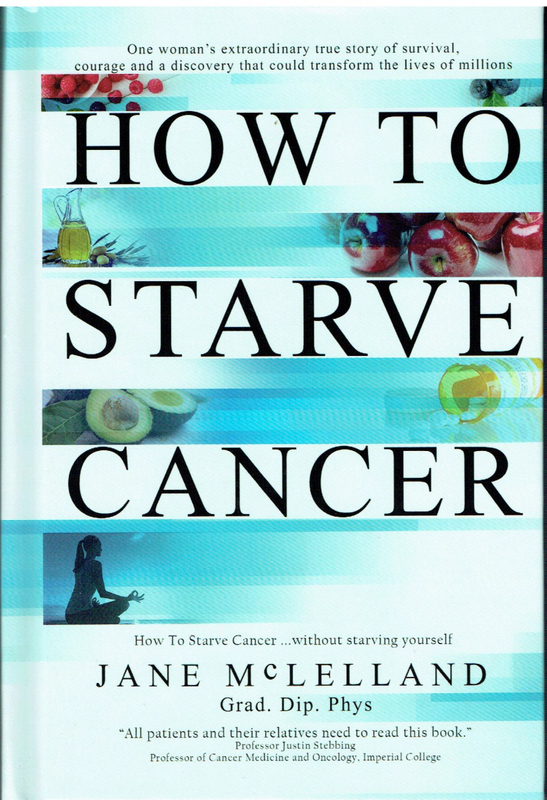 I am literally starving my cancer while using a very low dose of oral chemo and the targeted antibody infusions to poison it. It makes perfect sense. Also huge thanks to Care Oncology for providing me with the dosages and meds as part of the basic metabolic the theory! Whats next? I will finish this round of chemo and then take a 2 week break (instead of a 1week break) and have a blood biopsy drawn on Nov 28th at Bastyr where I see my naturopathic oncologist. This blood biopsy will tell us how many circulating tumor cells and circulating stem cells are in my blood….the fewer the better. It will also tell us if any remaining cells are still overexpressing certain proteins (HER2, EGFR, etc). This will help me and my non-traditional doctors to formulate a long term treatment plan. To decide if I will forgo chemo for a while and see if I remain disease free and hopefully eventually ditch the Herceptin before it causes heart damage again. This is something I will probably always have scans to check, always take some sort of meds or supplements to prevent more growth and I’m ok with that! I look back at where I’ve come along this journey and stand absolutely AMAZED at seeing how God has been at work. This didn’t take him by surprise and He has used this not only for His good but for MINE as well. He has grown me in ways I never would have imagined 3 years ago. He has connected me with some of the most amazing people, none of whom I would have met if it wasn’t for cancer. I TRULY believe that I was made “for such a time as this” (to borrow from Esther). Cancer doesn’t have to be a death sentence, it doesn’t help have to mean toxic meds with horrendous side effects, it can be managed and even starved when you are able to understand your particular cancer. Likewise, this life doesn’t have to end in death. You don’t have to suffer from the malignancy of the soul. There is one God who loves you fiercely and wants to spend eternity with you. People tell me so often how strong I am, how unwavering my faith has been. I can assure you, I have had moments and even days of true grief….weeks really. Every moment was consumed with my impending death…the reality of the fragility of life. There were times I experienced depression and PTSD. I thought, “maybe I‘m such a horrible mother, wife, etc that God is just going to remove me from this earth.” But when those thoughts consumed me, when the darkness tried to overtake me, I would call out to God. I refused to sink in the storms of despair and instead fixed my eyes on Jesus. In my weakness, God made me strong. I meditated on and daily sought to live out Romans 12:12 “Be joyful in hope, patient in affliction, faithful in prayer.” Some might say this God stuff is all in my head but I know in my heart and the depths of my soul that He is real and I hope that whomever reads this has or will soon have the same assurance.